The median sales price for Bay Area properties rose year over year in nearly all of Pacific Union’s regions. The lone exception was San Francisco single-family home prices, which were down $40,000 from May 2015. Prices hit one-year highs in Contra Costa, Marin, and Sonoma counties, while homes in the East Bay commanded eye-popping premiums of nearly 20 percent. The median sales price in Contra Costa County rose just slightly from April to May, but that was enough to make it a yearly peak of $1,195,000. As in April, homes sold in an average of 17 days. The months’ supply of inventory (MSI) ended May at 1.4, identical to levels recorded a year ago. Also unchanged from May 2015 is the percentage of original price that sellers received: 101.6 percent. For the second consecutive month, the median sales price in our East Bay region exceeded six figures in May, landing at exactly $1 million. Homes in the region have been selling for sizable premiums for quite some time, and successful buyers paid an average of 118.1 percent of asking prices last month. At 0.8, the East Bay suffers from the most severe inventory shortages of any of Pacific Union’s regions. Homes took an average of 17 days to find a buyer, similar to the previous two months. At $1.25 million, the median sales price in Marin County reached a one-year high in May. Homes sold in an average of 34 days, the quickest pace of sales in a year. The MSI increased slightly from April to 1.6, and buyers paid just a hair less than original prices: 99.7 percent. Napa County homebuyers were off to the races in May, with the average property selling in 52 days, the fastest clip in the past year. The median sales price was $649,000, returning to levels recorded in March. At 3.3, the MSI was essentially unchanged from April, with the average buyer paying 97.2 percent of list price. San Francisco was the only one of our regions to see the median sales price for single-family homes slip from May 2015, finishing the month at $1.36 million. The MSI remained at 2.0, unchanged from the previous month. Homes sold in an average of 26 days, two days faster than they did in May 2015. Single-family homes in the city continue to fetch premiums, with the average seller netting 111.8 percent of original price. May’s median sales price for a San Francisco condo was $1,142,500, placing it in the same general range that it has hovered in for most of the past year. Homes sold in an average of 33 days, one day longer than May 2015. The MSI ended the month at 2.3, and sellers took home 105.3 percent of asking price. The MSI in our Silicon Valley region declined to 1.6 in May, half of what it was earlier in the year. The median sales price also dipped slightly from April to finish the month at $2,835,000. The pace of sales has been gradually slowing for the past few months, with properties taking an average of 30 days to find a new owner in May. On average, buyers received slight discounts, paying 98.3 percent of list prices. The median sales price in our Mid-Peninsula subregion hit $1.75 million in May, a year-over-year gain of 25 percent. The MSI has been dropping since February and ended the month at 1.1. Homes sold in an average of 21 days, one week longer than in May 2015. Sellers in the region have been enjoying premiums for the past year and took home 104.1 percent of asking price in May. Sonoma County‘s median sales price has hovered in the same general range for the past 12 months and hit a yearly peak in May: $580,000. The pace of sales has been quickening each month thus far in 2016, with properties taking an average of 60 days to sell in May. Similar to the two previous months, the MSI finished May at 1.8. Sonoma County homebuyers paid an average of 98.2 percent of original prices. 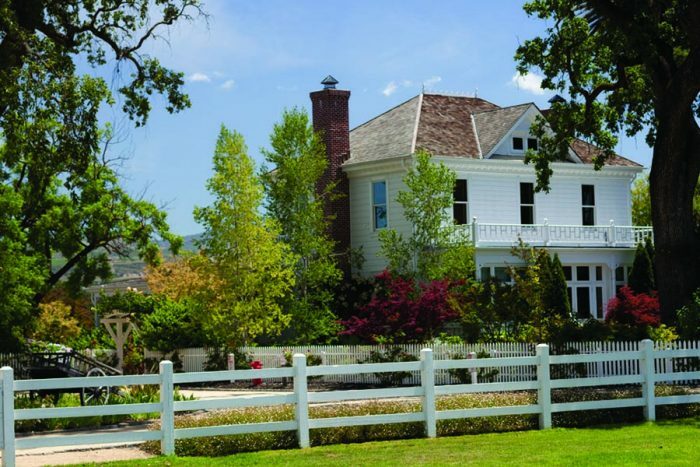 The median sales price in our Sonoma Valley region was $699,250 in May, up on both a yearly and monthly basis. The MSI closed the month at 3.6, nearly double what it was one year ago. Homes sold in an average of 56 days, with buyers paying 94 percent of list prices. The median sales price for a single-family home in our Lake Tahoe/Truckee region fell to $581,500 in May, the lowest level in six months. Homes sold in an average of 128 days, three weeks slower than in April. The MSI ended the month at 5.7 — up from March and April — and buyers paid an average of 92.3 percent of asking prices. Condominium prices in the Lake Tahoe region headed in the opposite direction of their single-family counterparts in May, rising to $372,000. At 10.2, the MSI was essentially unchanged from the preceding month. Like single-family homes, condominiums in the region took 128 days to sell, with buyers paying 96.3 percent of original price. Next PostNext What Did Bay Area Home Prices Look Like 25 Years Ago?